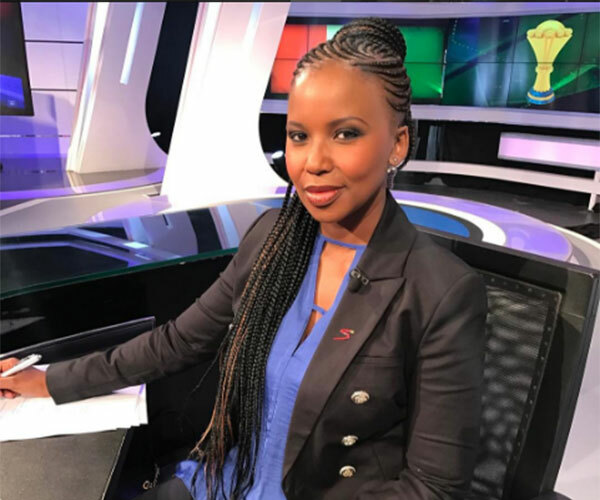 Award winning internationally acclaimed sports broadcaster and MC, Carol Tshabalala, will anchor popular Premier League show Fanzone tonight, Thursday, 18 May 2017. Fanzone will air at 11pm CAT after the Leicester City FC vs Tottenham Hotspur match. Carol Tshabalala is currently in London where Fanzone will be broadcasted live. Now a regular face on the popular English Premier League shows: Fanzone and Football Today and the only African based presenter to join the English Premier League sports-casters, Carol Tshabalala continues to be a flag bearer for South Africa and women in sports as she breaks boundaries internationally with her world class sports broadcasting. Make sure to tune into SuperSport at 11pm CAT to catch Carol Tshabalala on Fanzone and follow the First Lady of Sports on social media to stay up to date with her London trip! #CarolInLondon.